From the mid-1850s through the mid-1870s Degas explored many types of subject matter. He copied works by earlier artists and executed his own history paintings, portraits, and scenes of daily life. 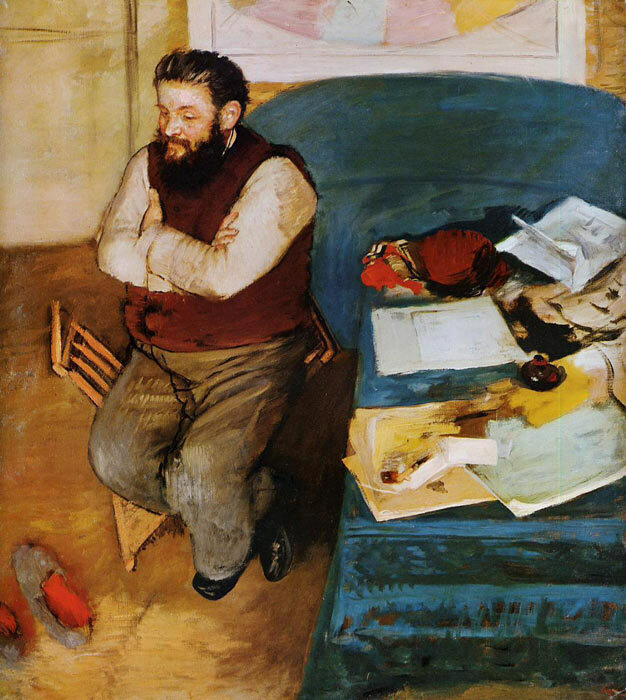 Degas eventually ended his efforts at history painting and devoted more attention to portraiture, turning images of relatives and friends into complex psychological studies -''Diego Martelli'', 1879. SPECIAL NOTE : The painter will make the reproduction as close to the original oil painting as possible. If you want your painting to alter from this likeness, please email us and " Diego Martelli, 1879 " will be reproduced according to your special requirements.